Monday night I made this eye-catching chicken dish from Jerusalem: A Cookbook by Ottolenghi and Tamimi, published by Ten Speed Press. Several people in our Tasting Jerusalem group and among my Twitter food friends have already prepared it and speak of its transformative flavor. So much so, that I was becoming skeptical. Could it really be that good? I’m not even an anise flavor lover – would I even like it? Olga from the blog Sassy Radish wrote about it last week with more gushing about its simplicity on a weeknight and oh yes, the flavor. She didn’t use the fennel or the strange sounding, anise-flavored liqueur known as Arak. She just subbed in more orange juice and onion for the fennel and she was an instant believer. I’ve heard that fresh fennel, when roasted, becomes sweet and loses most of its anise overtones so I compromised. No Arak and I’d sub in one onion for one of the two fresh fennels. And I’d scale back the fennel seed by ½ a teaspoon. But what to do about liquid? I was afraid that just orange juice would leave the chicken too sweet for my family’s tastebuds. White wine seemed like an option but too obvious for me. So I turned to the under-used dry vermouth – specifically some French dry Noilly Prat vermouth that screams martini at me every time I open that refrigerator drawer. Turns out that, according to an article in SF Gate about vermouth: “(Noilly Prat) has a very light, crisp aroma and body, with a mildly floral, oak-tinged flavor touched with hints of chamomile and lemon peel.” Hmmm – I didn’t know that but lemon peel and chamomile sound just perfect after all! I also changed the method just a tad by mixing the marinade right in the pan I planned to cook the chicken in. I’m all about minimizing clean-up, especially on a rushed weeknight. And as the cookbook suggests as an alternative, I did not marinate all day – just an hour or two before I put it in the oven. My adapted version of the recipe is below, but really, if you love to try new flavor combinations and learn about the history of a region’s food, order a copy of this cookbook. 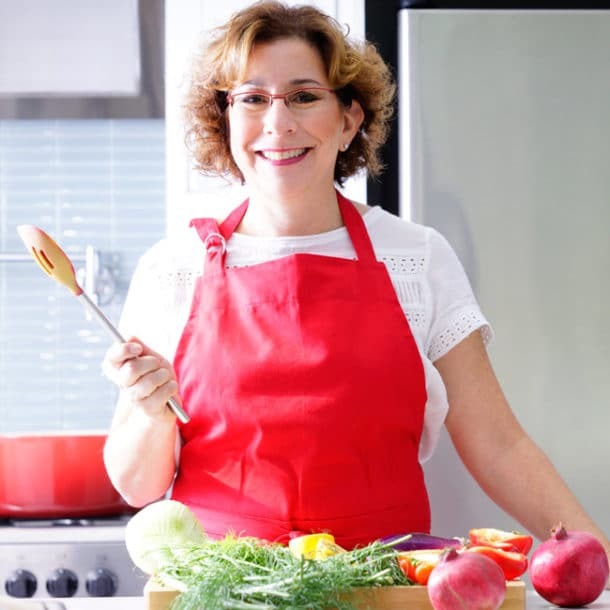 And then come join our virtual cooking community, Tasting Jerusalem, where we are learning about the recipes and ingredients together. 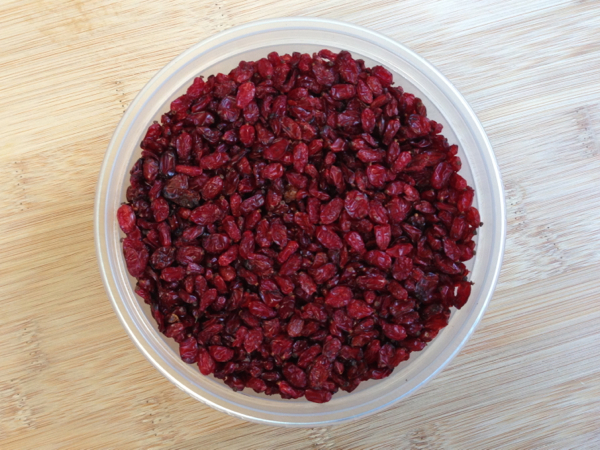 March is all about barberries – a little red currant-like dried berry used in Persian cooking. And not surprisingly, the tiny berry is bursting with flavor – a bit tangy and sour but exciting on the tongue and yes, it’s also quite colorful – don’t you think? And a hearty congratulations to Yotam Ottolenghi and Sami Tamimi as well as Ten Speed Press on Jerusalem: A Cookbook being honored this week with a Gourmand award as well as becoming a finalist in the upcoming IACP (International Association of Culinary Professionals) Awards coming up in early April. Well deserved, in my opinion! Amazingly flavorful and colorful resulting in a comforting, delectable dish that would be perfect for a buffet, large group, or just a quick weeknight meal. Clean and prep your chicken pieces if needed. 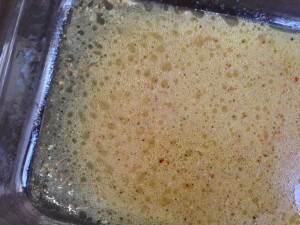 I suggest making the marinade directly in your roasting pan - I used a large glass one. 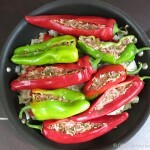 Put the first 10 ingredients in the roasting pan and mix well. Cut the fennel bulb and onion into small wedges and add them to the marinade in the roasting pan along with the sliced clementines and chicken, making sure to coat everything in the liquid. I like to put the clementines on top because it looks gorgeous! 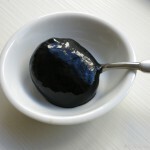 Cover and refrigerate if planning to marinate for a few hours or overnight. Preheat the oven to 475 degrees (I used 450). When ready to roast, remove the cover and cook uncovered, making sure the chicken skin is facing up. It will take 35 to 45 minutes at this high temperature. My chicken cooked in about 40. The clementines will be quite brown, even black around the edges and the chicken skin should be nicely browned. You can poke one of the thighs to be sure the juices are running clear. 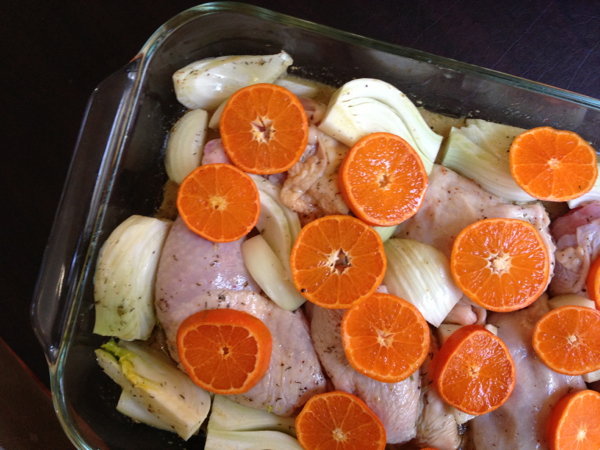 Once out of the oven, transfer the chicken, fennel, onion, and clementines to a serving platter. If you have time, cover the chicken to keep warm and pour the sauce in a saucepan to reduce by about a third. 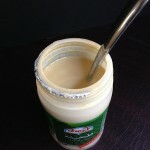 You may also want to skim off the chicken fat which will have risen to the top. If you don't have time to reduce the sauce, it is fine as is. Pour some on the chicken, sprinkle a bit of fresh chopped parsley if you like and serve with basmati rice or a side of your choice. I am not a huge anise fan, but after all the rave reviews, I gave this recipe a try, using Sambuca, which is the only anise liquor I had on hand. I’m glad I got over the initial scepticism, because it was out of this world delicious!! I am always looking for new and creative recipes for dinner parties and this will be my next one to “wow” the crowd. I even went on a hunt this weekend for Arak and found it easily at a large Liquor Store in Michigan. I can’t wait to see how it turns out when I make it using the Arak. This one of my favorite dishes from the cookbook so far, and it could be that Arak reminds me of my childhood and my father. But no doubt the chicken is bursting with flavor and wonderful (guilty, I love fennel and the taste of anise). Lovely you got a chance to try the dish! It is really a showstopper – just so yummy. 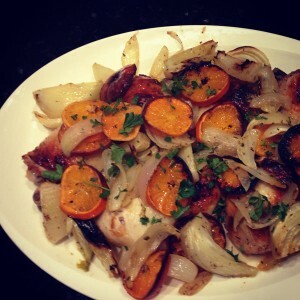 I could make a pan with just the onions, fennel, and tangerines roasted – OMG! Beth, those clementine’s are my favorite thing – they become like candy!! I can’t stop eating them. I actually made a 2x batch this week and we’re having the second half tonight. Such a great leftover dish too. I also fell in love with the roasted clementines. There was a bit of fennel, onion, clementine leftover and I ate that with my lunch yesterday. I think that alone would make a great side dish. I know what chicken dish I’ll be making for my big Rosh Hashanah party – this would be so easy to make ahead! Thanks for the inspiration Olga! That is such a wonderful cookbook! That chicken is one that I bookmarked b/c it looks so interesting and flavorful! I’m planning to make this a for family supper on Sunday evenng. I’ll report back. Yes – let me know – I’m wildly in love with the dish but the roasted clementines – I could just eat them all day! In fact, I had some leftover onion, fennel, and clementines yesterday without any more chicken – so delicious to eat that I could imagine making it as a side dish! I, too, have a bottle of vermouth that shouts, “Martini” at me on a regular basis. Mostly, I hum to myself while opening the refrigerator and so, manage to resist. But I love this recipe and your tweaks of it. In fact, so much that I will be making it for dinner tonight. I’ll let you know how it goes. Thanks for sharing! P.S. Now I have to break down and order the book too. So far I had been resisting that as well. Let me know when you’ve ordered the book and how the chicken comes out. Can’t wait to hear! What an exotic roasted chicken – love the addition of clementines. And they are so yummy to eat after roasting, skin and all! I love that Vermouth works with this -definitely going to keep this in mind. looks like I would eat this dish even though I am not a fan of dark meat chicken. However it also means I would have to buy the ingredients, prepare them and then cook it. Cooking is not in my vocabulary these days. However should I get back into the habit again I will certainly try making it. I’ll make it for you and use some chicken breasts as well as thighs. Beautiful, Beth! 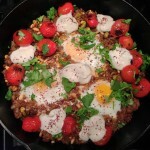 I like your tweaks to this dish and may try them the next time I make this one. I made it with all the arak, fennel and anise seeds and while I love anise flavor, my family is not as big of fans. It’s a lovely chicken dish and we were all grabbing for those caramelized clementines! These changes will make your family happy – I thought the anise flavor was still there but subtle and actually started making me think that in small doses, I might actually like it after all. The fennel is just lovely but the onions, as @sassyradish suggested, are a terrific complement or replacement. I really liked them together. 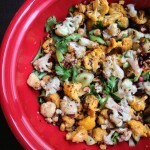 Beth, This is so lovely and combines so many of my favorite foods. I visited my vegetable garden today and see that I have a few fennel bulbs just waiting to be picked. Now, I see a recipe for them! I have clementines on the counter and chicken on my shopping list. Everything else is in my kitchen or in my herb garden. Perfect timing!! Thank you! Let me know what you think after you make it! I finished every drop, including a few stray clementines and fennel pieces that remained. Gosh – what to bring home – I have pinged Cheryl Sternman Rule to see what she thinks cuz she just got back from a food tour last October. But based on Tasting Jerusalem, I would say, za’atar, sumac, ras el hanout, dukkah, and from a Twitter friend: hawaij (yemenite spice), baharat. mahlab (ground cherry pit) for ka’ak, basil seeds for falooda which is interesting. Will write to you with more as they come in.